Shopping for Hemp CBD Dog Treats? Read This First! 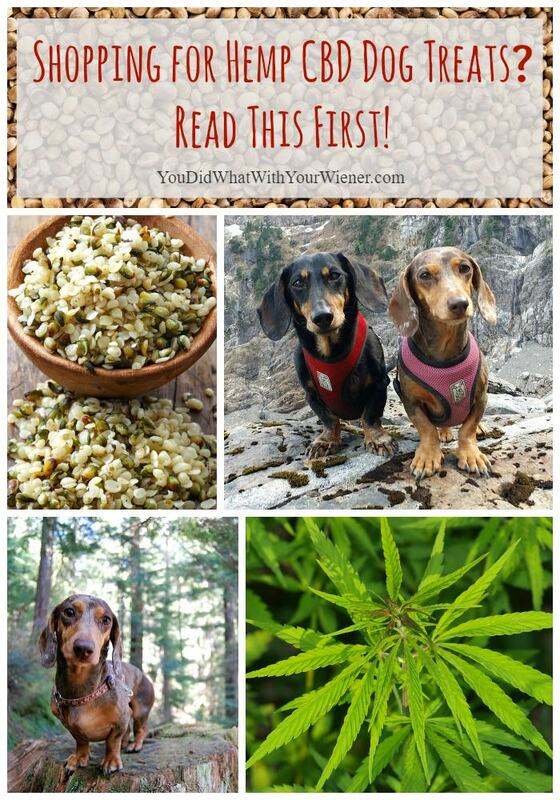 You are here: Home / Dog Health / Shopping for Hemp CBD Dog Treats? Read This First! In the world of environmentally-friendly products, there is a term called “greenwashing”. Greenwashing is the practice of using deceptive marketing or labeling to imply that a product is environmentally friendly when that feature is marginal or missing all together. When companies saw that people wanted “green” products, some adjusted their marketing to put a green spin on their product or created pseudo-eco-friendly products to cash in on this trend. Hemp-based cannabidiol (CBD) supplements for pets are all the rage right now. CBD is one, and the most abundant, of at least 113 active cannabinoids identified in cannabis. It is considered to have a lot of potential medical benefits. While CBD is derived from hemp, not all products containing hemp also contain CBD. I feel like everywhere I turn, a new CBD supplement or product for dogs is popping up. No doubt this is a marketplace trend that a lot of companies want to cash in on. I had the privileged of attending one of the biggest pet product trade shows in the U.S. a few months ago – The Global Pet Expo. Up until then, I had only heard of 3 CBD products for pets but I must have seen at least 10 at the trade show. I’ve done a lot of research on CBD products and, in my opinion, some of the treats and supplements I saw there were marginal at best. Much of the marketing of “hemp” products I see is confusing, if not outright deceptive, and designed to cash in on the trend of hemp-derived CBD for pets. One particular product I saw at the Global Pet Expo used the word “hemp” in their name and displayed a hemp leaf prominently on their label. Their marketing copy says, “The health and medicinal benefits of hemp are quickly becoming recognized by researchers worldwide, and we at *company* are proud to announce the arrival of our functional hemp-based dog chews”. While they go onto to explain the difference between THC from marijuana and CBD derived from industrial hemp on their website, they do not make it crystal clear that their product does not contain CBD. They ARE clear that their product only contains hemp seed oil and ground hemp seed. Hemp seeds do not contain CBD (see the next section) but I wouldn’t expect the average consumer, looking into a product that already has a lot of confusion and controversy around it, to know that. To me, being so ambiguous can be determined as deceptive marketing. At best, it’s merely confusing. I’m not calling this company out because I think they are good people with a quality product, their hearts are in the right place, and their products do contain the right ingredients to provide the potential benefits they claim on the package. However, most of the benefits their treats provide are currently (they did say they might incorporate CBD in the future) due to the traditional ingredients they include like glucosamine, turmeric, chamomile, etc – not the hemp. The hemp plant is made up of many parts including seeds, stalk, leaves, and flowers. If you see a product labeled “hemp”, it’s important to know which part of the plant the “hemp” in the product is derived from. This matters because you want to know what kind of benefit your pet might experience from consuming it. In the case of the current market trend, the majority of people are seeking hemp CBD products for their pets for serious therapeutic benefits like potential cancer fighting properties, to help control seizures, and to control pain and inflammation. 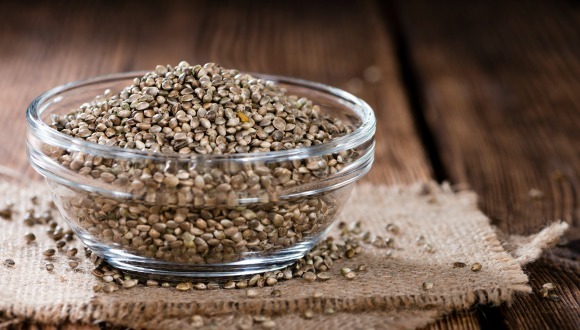 Some products labeled “hemp” may contain only hemp seeds. According to the Hemp Industry Association , “CBD is not a product or component of hemp seeds, and labeling to that effect is misleading…” (Source: MintPressNews.com). To be crystal clear, HEMP SEEDS DO NOT CONTAIN CBD. That same article goes on to say, “CBD extracts are produced either directly from cannabis flowers… or indirectly as a co-product of the flowers and leaves that are mixed in with the stalks during hemp stalk processing for fiber” so it’s important to make sure the CBD is sourced from the whole plant. Sure, you could seek out a product that contains ONLY hemp flowers and leaves but 1) I haven’t seen any of those for pets and 2) products derived from the whole hemp plant contain the complete spectrum of cannabinoids and terpenoids and have the potential to provide the most theraputic benefit. Don’t get me wrong, ground hemp seeds, or hemp seed oil, as a food or supplement does have some benefits. Hemp seeds are often claimed to be one of the most nutritionally complete food sources in the world and are great protein source. Dog treats made with hemp seed protein may be a good option for pets with allergies or people who prefer to reduce or eliminate meat in their dog’s diet due to moral beliefs (Just sayin’… let’s not get into the argument about dogs being carnivores and needing meat). Hemp seeds contain gamma linolenic acid, omega 3, 6, and 9 fatty acids, and a large number of vitamins and minerals including: phosphorus, calcium, potassium , magnesium, zinc, iron, copper, iodine and vitamins E, C, B1, B2, B3 and B6 . Hemp contains 49% more magnesium than broccoli and 16% more iron than spinach. If you want a great treat that contains plant-derived protein and may help your dog’s skin and coat, or reduce minor inflammation, then a product containing only hemp seed will suffice. The bottom line is, unless a products says “CBD” or “cannabidiol” (the full name of CBD) on the label, it doesn’t most likely doesn’t contain any. Do your homework and be sure that what you are buying contains the ingredients you are looking for. There is a lot of confusing information out there about whether CBD products are legal. 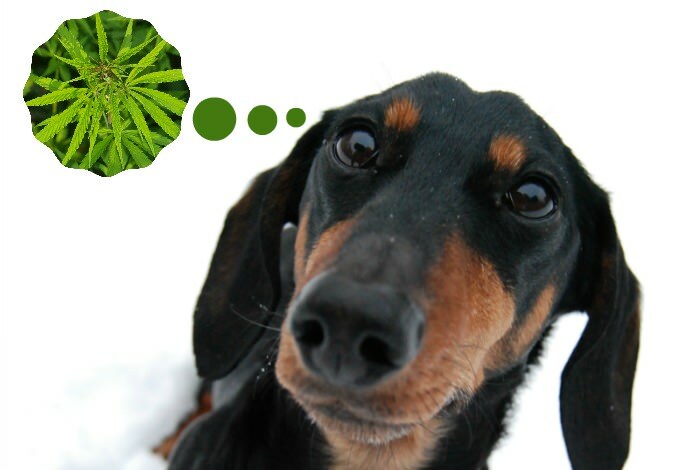 While the CBD in pet products is derived from industrial hemp that is supposed to contain very, very low levels of THC – the substance that makes the user feel “high” and is a regulated drug – it can contain trace amounts. See that there though? The statement days “strong legal argument” not “is totally legal”. Still confusing, right? To get to the bottom of the legality, I went to the experts. I spoke at length with one of the very knowledgeable founders of Pet Releaf, Steve, about this issue. Steve started researching CBD in early 2000 when his dog Mattie was suffering from debilitating arthritic pain. His veterinarian said that opiods were the only option for relieving Mattie’s pain. Steve and his wife noticed that Mattie became distant and “absent” after taking the drugs and they missed their friend. They rigorously started researching natural alternatives and they discovered CBD. They decided to create a “better way” to help Mattie and dogs like her. The bottom line is yes, CBD products are legal in all 50 States as long as it’s sourced from Imported Industrial Hemp. Do you have any questions about CBD products for pets? Leave them in the comments. Disclosure: Since discovering Pet Releaf I’ve had several conversations with them. I love their passion and how knowledgeable they are. They initially sent me a few treats for Chester and Gretel to try. I was convinced this was the product for us and have continued a relationship with them since. In the last several months, I have both purchased their products and they have sent us some in exchange for me telling you about them. Wooftastic post! A super comprehensive look at CBD products! I live with canine epilepsy & have used CBD products with some success. Although CBD products did not stop my seizures they did help with recovery. Diagnosed with idiopathic epilepsy at 9 months old we have tried to to control my seizures with TCM, diet, lifestyle changes but none were successful in completely eliminating the cluster (more than one seizure in a 24 hr period) seizures (gran mals) that I experience at least once a month. Unfortunately, I do rely on pharmaceuticals to help manage my condition. The CBD products that I have tried were successful in helping improve my recovery, my coordination & cognitive behavior. Recently, I had to make a change to my cocktail & my Vet advised that we stop the CBD products until we could ascertain the results. In that time period my neighbors house caught on fire & took ours along with theirs. This was a big problem because one of my drugs is a compound drug that was especially made for me & couriered to my door. We had to modify my cocktail & hold off on the CBD supplements. It is only a matter of time & I will definitely be including CBD supplements back into my protocol. We are confident that once Medical Marijuana is legal in Canada we will be able to look into using a stronger CBD product & hopeful that it will control these seizure episodes. Thanks for this pawfect post. We will be sharing it on our Facebook page this week. I am glad to hear that CBD helped with your seizures. I haven’t heard anyone say it didn’t help at all for that yet. I hope you get your new cocktail worked out so you can go back to it. Very interesting, thanks Jess. As parents of an older active dog we often worry if we could be doing more to relieve the slowly building arthritis. Where do you find the fancy organic CBD stuff in the photo above? Hi Seana. The product in the photo, and the one we use, is from Pet Releaf. I’ve only been to one recreational pot store in Seattle and I didn’t see it there but you can order it online at https://www.petreleaf.com/. I’ll be writing a full review on the product soon. We use both the treats and the oil. I use the oil to hopefully help with Chester and Gretel’s back and “old” issues. I’m currently putting it in their food but it says it’s absorbed better when it’s given alone so I am figuring out how I’m going to work that into our routine regularly. They like the taste so they will just lick it from a bowl. I also give them the treats as a boost to help with anxiety. Honestly, I notice the biggest difference in their demeanor with the treats. 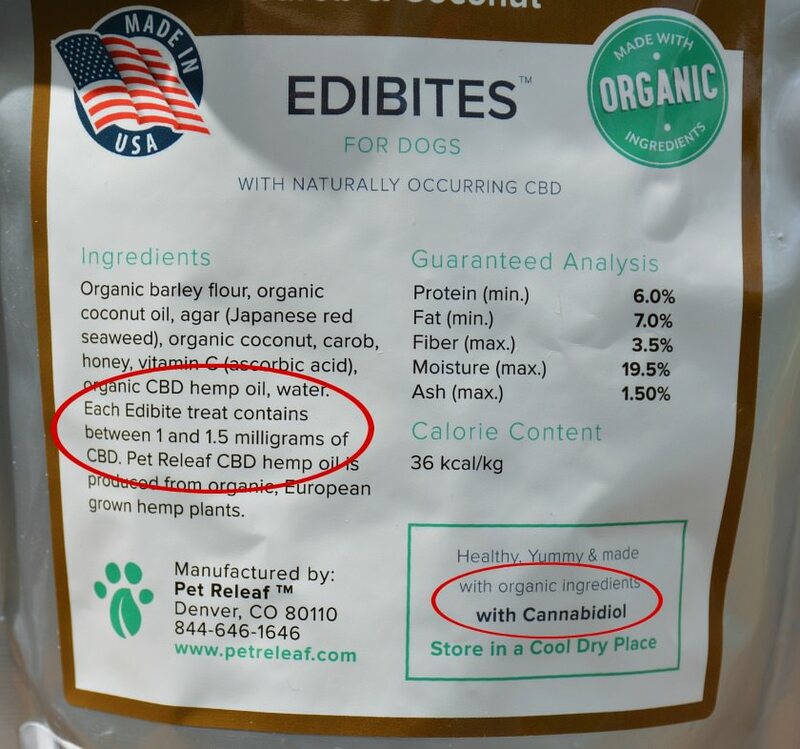 I have access to cbd crystalline and would like to see recipes for this ingredient in dog treats. If anyone has ideas, please post. Yeah, the stores are popping up like weeds. Ha, ha. I hope the CBD helps Roger. Please do let me know if you find any CBD dog treats at your neighborhood weed store. I’m curious to know who is carrying what locally. Hi Jesssica. I’m new to your most excellent blog. Interesting post here! I just started my dog, Lucy, on CBD oil as well as myself so I’m learning as I go. The dispensary I go to had a brochure for VetCBD that can only be sold to clients with a card to buy medical cannibis. So far Lucy is doing well on it and LOVES the taste of it. The company wrote an informative page on their website about sourcing CBD that would probably interest you. I just read your review and I have purchased the oil version of Pet Releaf for my Coton de Tulear. She has developed terrible anxiety when in our electric Nissan Leaf commuting to work. I mention the type of car because she does not have the issue in our non-electric car, or at least it’s significantly less severe. Our theory is that there is some kind of sound or vibration that is bothering her but we aren’t sure. We had a mild fender bender about 6 months ago and she was a bit traumatized by that. However, she didn’t start shaking and panting until quite a few months after. Still that may be the culprit. To get to my point, we tried PetRelief yesterday for the first time and it seemed to have absolutely no effect. We gave it to her about 15 minutes before departing. Maybe we didn’t give it enough time? Do you think we should give it to her regularly to build it up in her system? Any suggestions based on your research or feedback from others would be welcome. We are desperate to help our little Rosie conquer her auto travel fears! Hi Diane. Every dog is different. CBD is something to try but there is no guarantee it works for every dog. That being said, I would try giving it to her 30 minutes before. In my case I have to give Chester and Gretel about 10-15 drops of the oil to see any difference. CBD is a supplement, not a drug, and it’s been shown to have no ill effects even in high doses. The downside to giving your dog more is that it’s not cheap. Honestly, I’ve had more luck with the treats than the oil. That doesn’t seem to make sense because it’s a lower dose but they are definitely more effective. Maybe it’s because the treat recipe uses ingredients that are “synergistic” with the CBD. Anyway, I would try giving it earlier and in a higher dose before totally giving up. That being said, you may have to try something else. I prefer natural remedies so, if I really need to take their anxiety down a few notches (I don’t consider it severe in the first place though), I will use CBD treats and a few VetriScience Composure treats together. Melatonin (make sure it doesn’t have anything else in it and isn’t time-release) can also help make them a little drowsy. Good luck. I have access to CBD crystalline and have made treats for my arthritic 10 year old Golden Retriever and her friend, a 5 year old rescue Golden Retriever with anxiety. I have seen good results with both conditions. I’m a believer. All in All you believe in the brand pet releaf and there product? treats and oil? I am researching all kinds of brands there is so many! As i am looking at which is best for my tiny chihuahua girl with seizures! I’ve tried canna companion and canna-pet! I have seen her seizures better controlled with the canna-pet oil! Yes, I do. We tried Canna-Pet (only the treats) and I felt like it made no difference with Chester and Gretel. I also had some success with Treatibles. There are a few more out there I haven’t tried yet, like Canna Companion. I just give CBD to Chester and Gretel for anxiety but I’ve heard several people say that it really helped their dog with seizures. Good luck to you guys. Yes we have been using CBD oil for my chihuahua for a year now and has helped so much! For best effect I put it under the tongue 🙂 best of luck with the seizures.. Theybreally are terrible ! I’ve spoken with his neurologist and he’s said we’re fine to try it. I ordered some from nuleaf naturals. *fingers crossed* He’s home from the hospital now, but he’s pretty rough. It seems that the barometric pressure affects him. I’m still confused , is my medical cbd the same as what is used for pets? I use 30 mg capsules…. Hi Kim. I can’t say because I don’t know what product you have. However, it’s my understanding that “human” CBD oil can be used for pets as long as it doesn’t contain trace amounts of THC. my dog has seizures and i’m having a hard time finding real cbd treats for her to try… i bought a pet tincture but i think it’s only hemp and no cbd… im in new river, az… any suggestions on where to go or an online store i can trust ? Hi Kendra. Sorry for the delay. I swear I replied to you… but apparently not. Depending on where you live, it can be difficult to find CBD treats or oil in the pet store. We’ve tried several and my favorite for effectiveness and affordability (that stuff ain’t cheap) is Pet Releaf. I don’t have a current working relationship with them but I used to and they are VERY knowledgeable and have high-quality products. I give CBD oil to Chester and Gretel for pain and anxiety but I hear it works wonders for seizures. On a somewhat side note, it seemed like their treats were more effective than the oil on Chester and Gretel. Not sure why that is but I put the oil on any random food. Whereas their treats were created with synergy in mind – chose food ingredients that would enhance the absorption and effectiveness of the CBD. Good luck to you guys. Hi Debra. I did see some difference with Treatibles but not as much as with Pet Releaf. Also, their treats work better for us than the oil. My guess is that it has to do with the ingredients. They say they are selected to enhance the effects of the CBD (work synergistically). My dog has been in some pain lately and I’m wanting to find some natural ways to help her with this. Thank you for pointing out that CBD oil can help reduce pain in dogs. I’ll have to look into finding the best dog treats containing this oil.